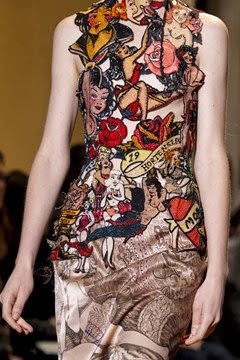 Versace’s collection is always predictable. Donatella never has us surprised. Her runway is always packed with Russian looking models with heavy charcoal-black eyeliner. 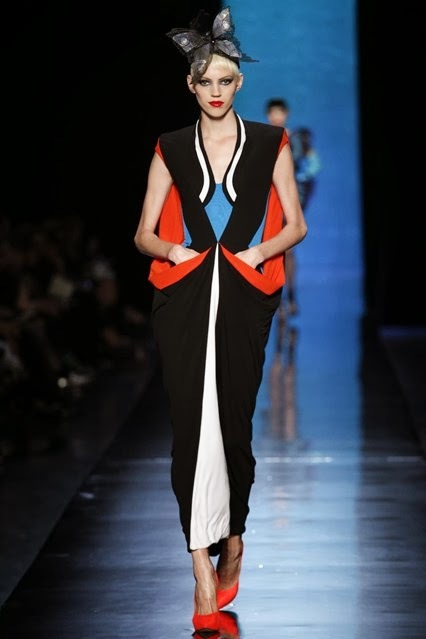 Sometimes, I feel as if Donatella is reproducing her own self on the catwalks. This season’s couture collection represented a palette of pastel colors instead of last year’s more flamboyant and flashy colors. In addition, the collection uses shiny satin textile and the few studs are never too far away to see. Lady Gaga, new face of Versace and dear friend to Donatella Versace, was proud to attend on the first row. 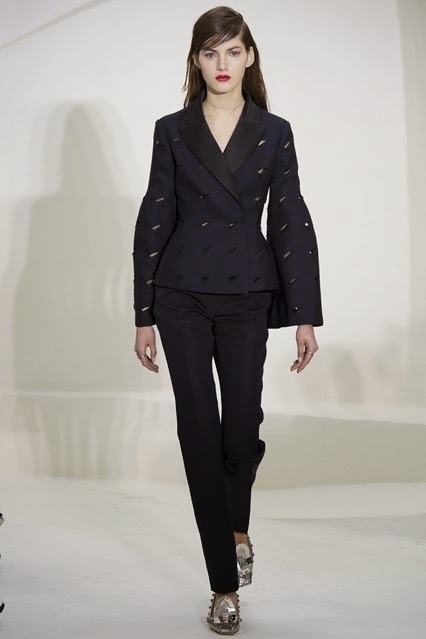 After its second to last fashion show in 1954, Schiaparelli finally declares the house open for business again with its new creative director, Marco Zanini. 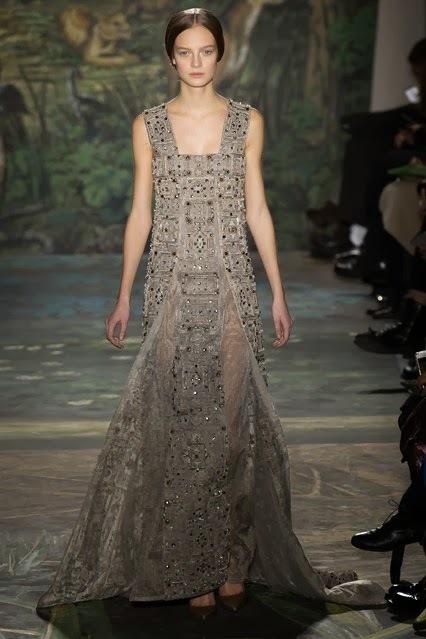 The designer has left his previous role at Rochas to assume his new responsibility. Much of the collection was inspired from the archives of this heritage brand, “although not too much” stresses Marco. “It’s very important this isn’t too literal”. One of my favorite pieces was the huge ornate sleeves. 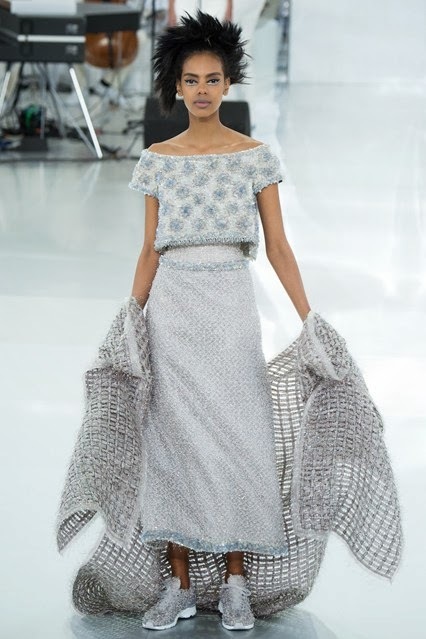 Unlike Chanel, and you will see it later on, Christian Dior’s collection included glittering trainer shoes as well as fancy heels that extended with a strap till under the knee. 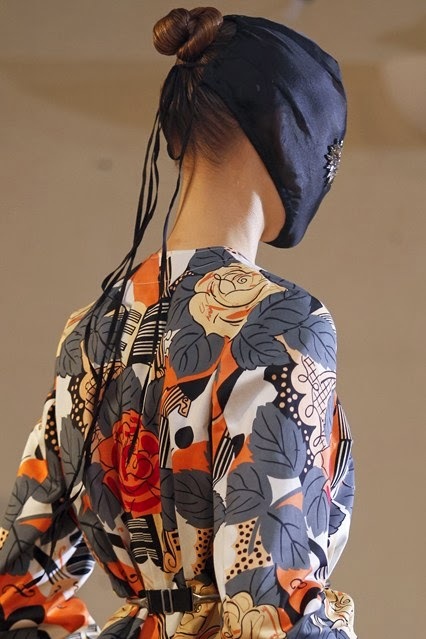 The collection was decorated with different versions of perforated garment. 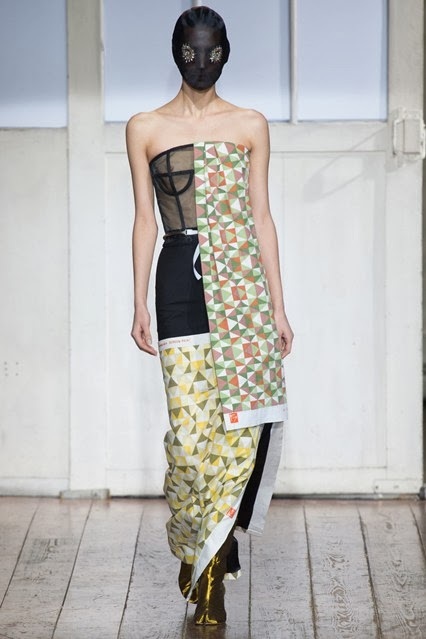 In some outfits, the perforation gave it a sporty feel and it resembled mesh fabric. While in others, the perforation were bigger on silk and it depicted more sophistication and it resembled guipure. 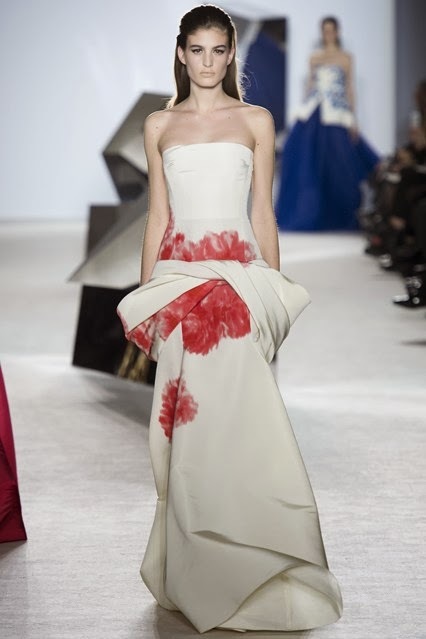 I loved Giambattista Valli last year, and this year they have officially become one of my top favorites. 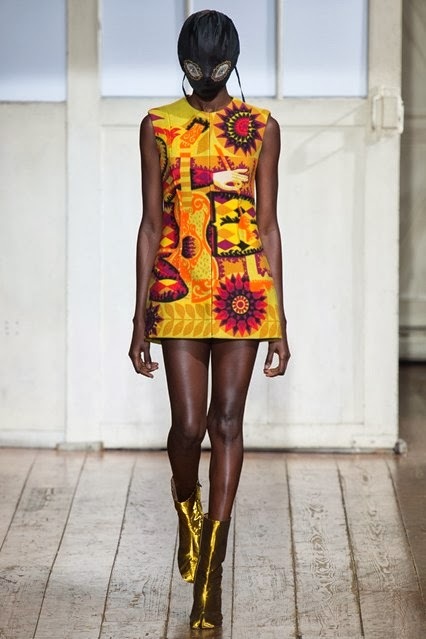 In this collection, most of the brand’s work was done on the lower part of the outfit, or the skirt. Likewise, the mix of colors were perfectly matched and cheerful, which is really an expectation but also I believe it is a rule of thumb for the Spring/ Summer season. And by cheerful, I don’t necessarily mean flashy and flamboyant. 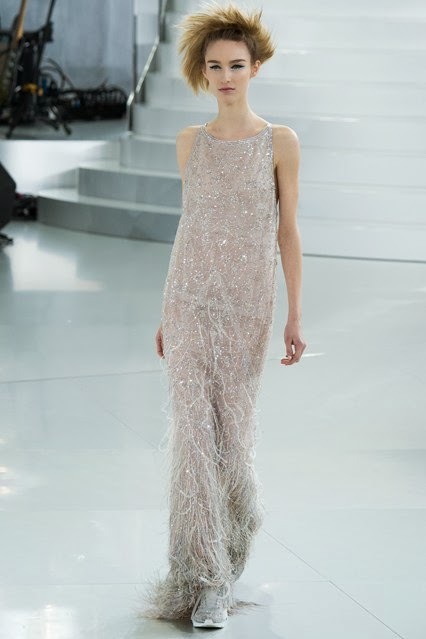 Chanel worked the tailleur as perfect as always, and of course, they have added a couple of long dresses along side. 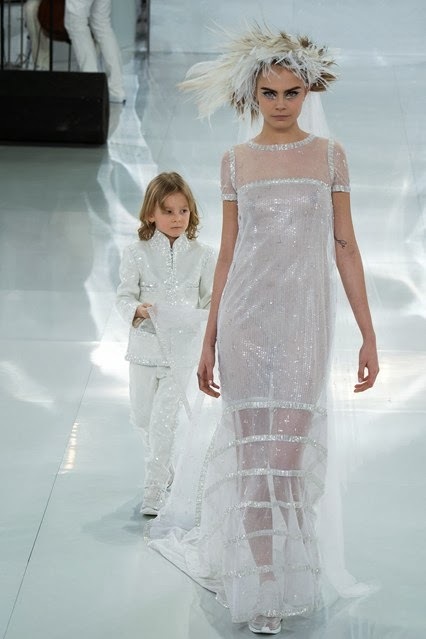 It was Cara Delevigne who opened the show and made its closure. 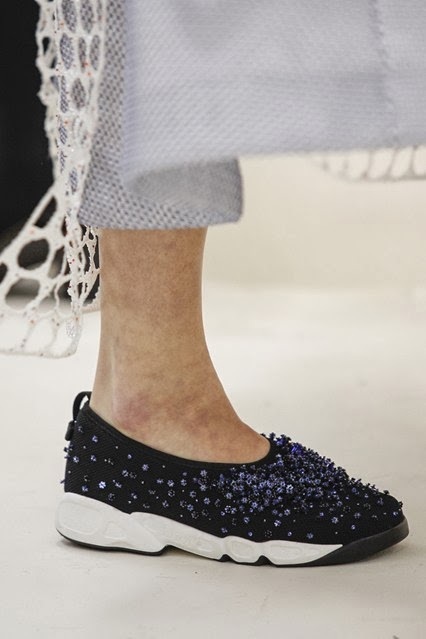 Also, this season, the show’s set wasn’t the only surprise: embroidered, jewelled and lasered-to-look-like-lace trainers hopped on the boundless staircases beneath the vast glass domes of the Grand Palais. 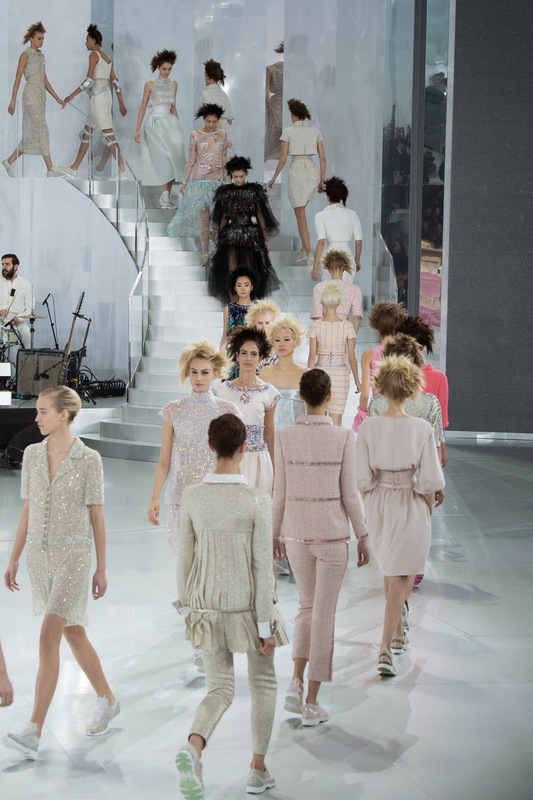 Sad news, although Chanel sells ready-to-wear trainers already, those dream couture shoes are not going to be sold over the counter. 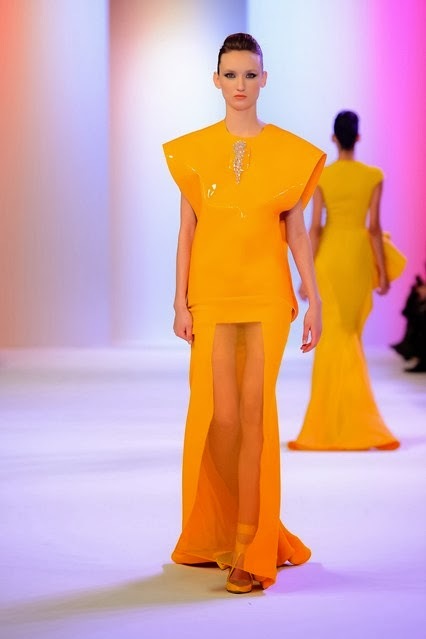 Designer Stephane Rolland used monochrome as well as a warm yolk-yellow color in his collection. 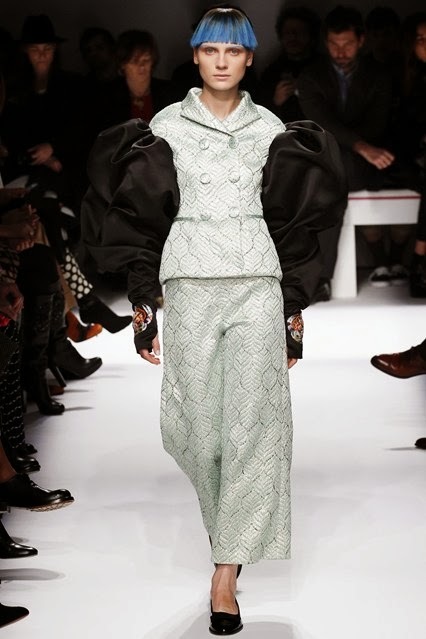 He decorated his silhouettes with a huge, distorted and twisted peplum. to add volume and drama to his silhouettes. 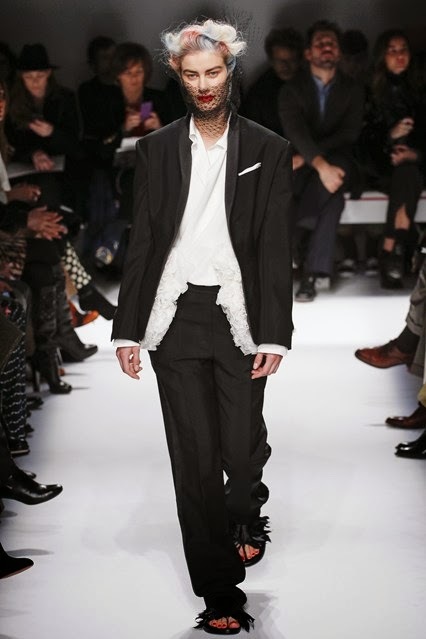 As much as on the waistline, Stephane added volume and drama occasionally on the shoulders. 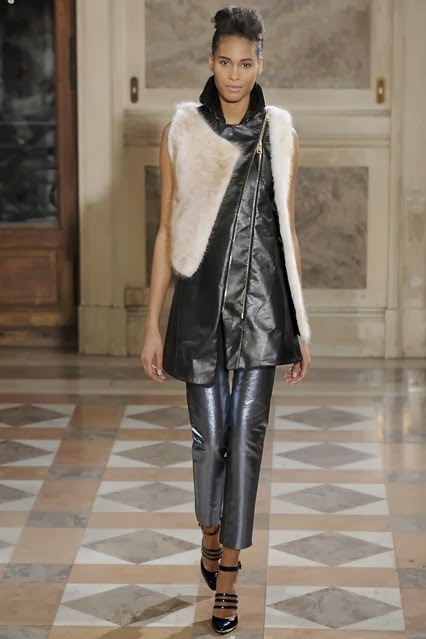 Maybe Bouchra Jarrar was mistaken with the season, or maybe she is spending her summer in either the poles, her collection included fur, and not just once. Yet, I loved the jackets, so great to party! This collection depicted a game of texture, sculpted volume, and warm colors. Have a look at the details of the woven leather in the crimson red dress! Another favorite of this season was Julien Fournie. 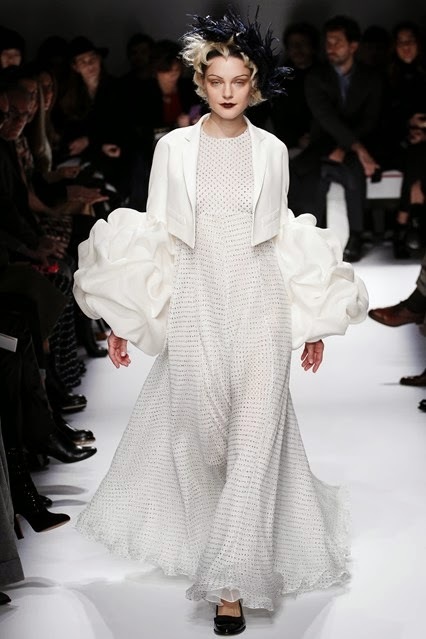 In his collection, he accomplishes my dreams of a little girl; he represented the woman stuck in between the role of a ballerina, a princess, and even a goddess with those 3D volume inspired wings added on the short sleeved dress and the jacket. I felt that the designer included these subjects into his outfits, judging from the palette of colors he used cleverly (pale pink, lilac, ice blue), the voluminous skirt appearing like a reversed rose, and the glitter, showing underneath the sheer silk in the last dress. 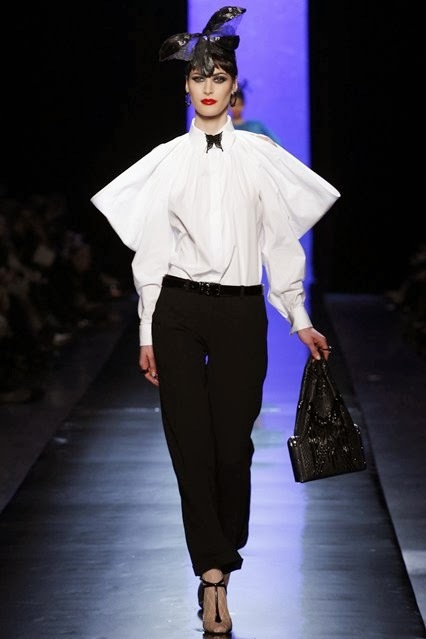 In contrast to last year, this season’s collection of Martin Margiela is much more interesting. 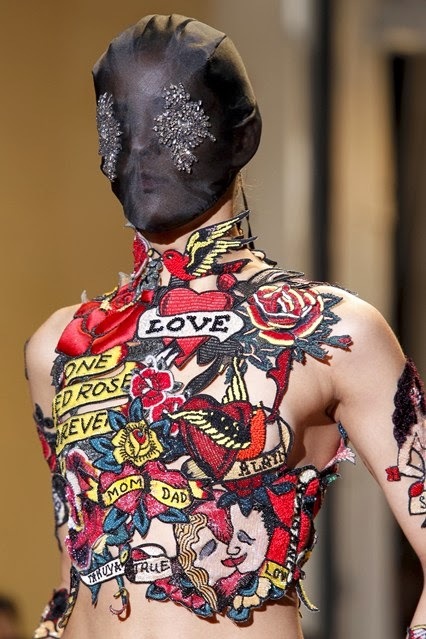 Yet, the model’s faces was still covered with a mask. 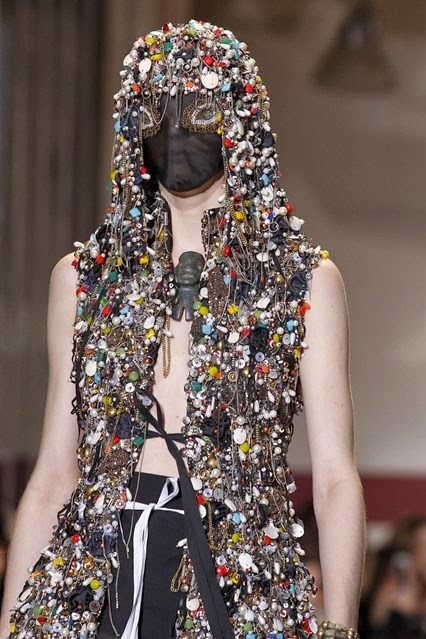 Maison Martin Margiela pulls a statement by saying it’s about the clothes and not the models. 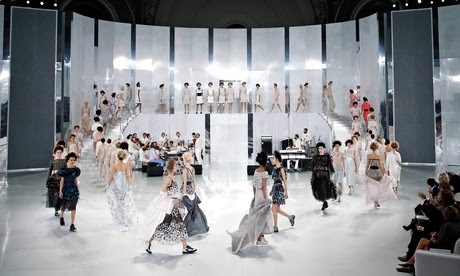 Don’t get thrilled if you see for instance Cara Delevigne or Karlie Kloss, enjoy the fashion show for its collection. 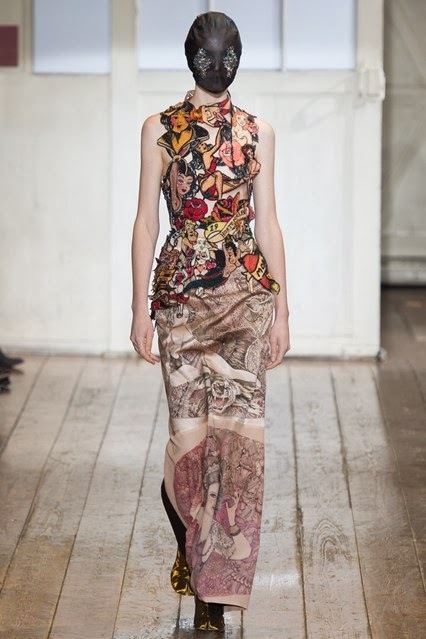 Graphics were important in this collection; they were present as flowers and abstract assemblage of elements. My favorite was the tattoo shirt. 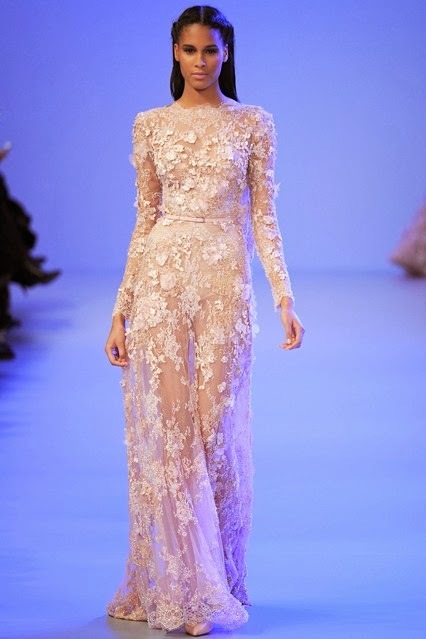 Elie Saab on the other hand, focused on making beautiful dresses whether it is in color, beaded, in sheer or lace. 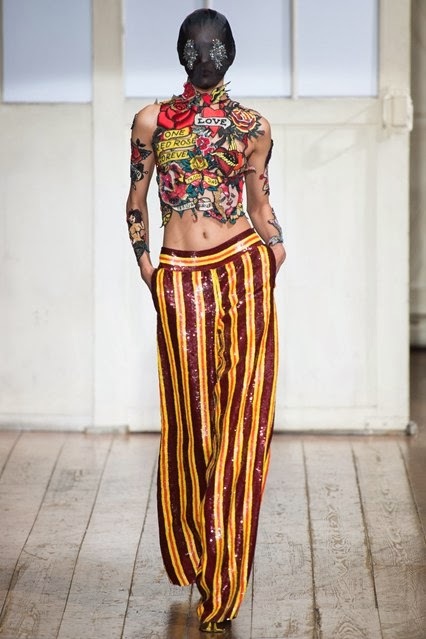 Not too far from last year’s inspiration of India and Gypsies, this year, designer Jean Paul Gaultier lived the concept of the butterfly throughout most of his collection. For example, he implies his idea by integrating the wings of the butterfly on the collar of his suits or he adds volume dramatically on the shoulders. Like a near tradition, Jean Paul invited Dita Von Teese to flutter on his catwalk wearing an actual butterfly. 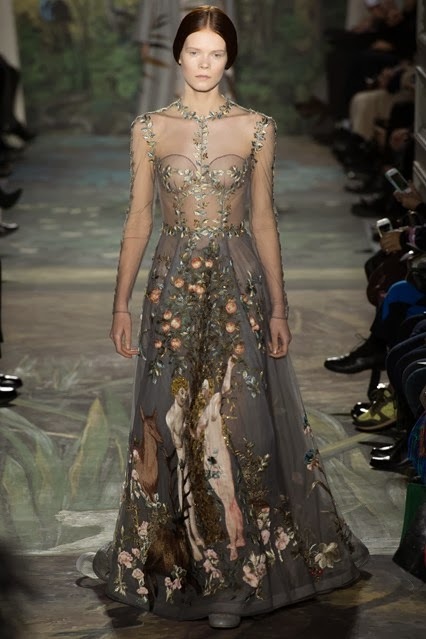 I wasn’t utterly inspired with amazement when I saw Valentino’s collection. The dresses did not appeal to me as the ones from last year, which had a particular emphasis on grillwork lace. 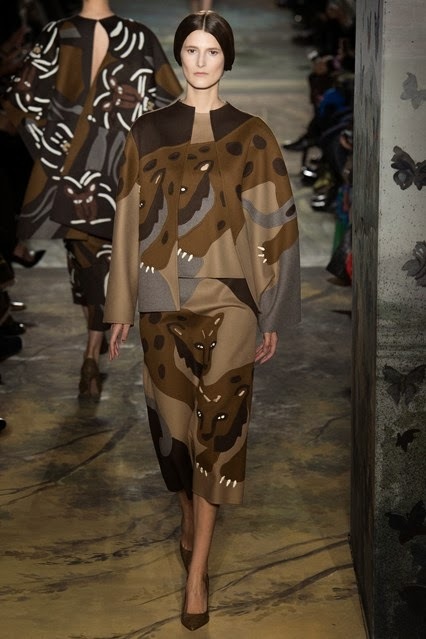 This Spring and Summer collection used darker and warmer tones that better suited an autumn spirit. 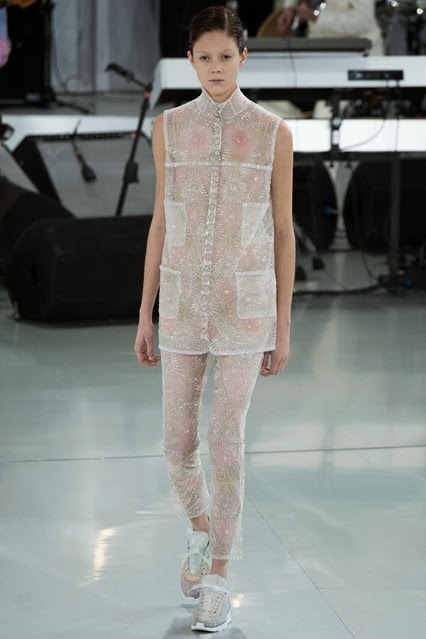 Nevertheless, I still appreciated the almost transparent sheer silk dresses. 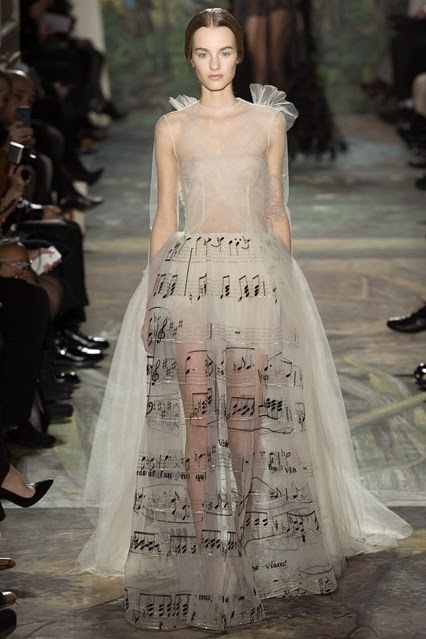 Viktor and Rolf’s collection was too much indulged into the world of a ballerina. They even faked ruffles. Maybe the sole detail that I appreciated from this line was the wrapover dress in pale pink. Wrapover or "cache-coeur" in French. 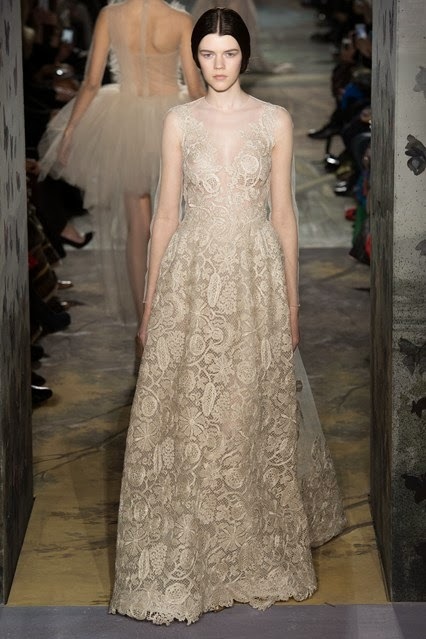 I watched Zuhair Murad’s collection on this video. There was beautiful dresses as always, but notice the gold leaf belt, I believe it was irrelevant and incohesive with the dresses. 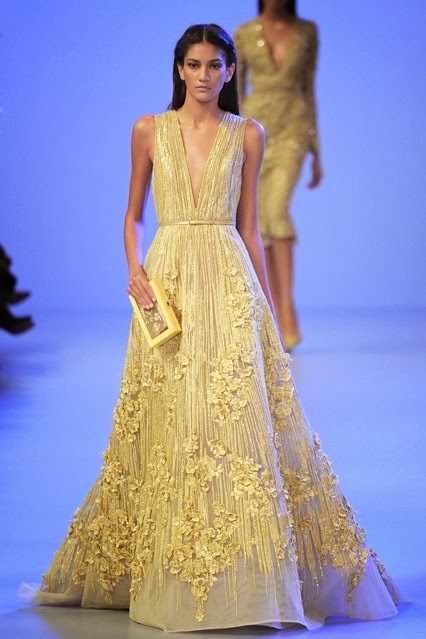 The predominant colors in the collection were lilac, aqua blue, and pale gold. I loved the fluffy dress at 6:28-6:32 min, the shark peplum on the dress that follows with butterfly shoulders, 10:45 to 11:03 was another cool moment, and at 13:35, watch the bride coming out with a round of applause.